On my way to Eclair, I walked past at least ten coffee shops that would deserve a visit in the very near future. And one would definitely be visited on my way back from Eclair. The challenge: which one to choose today. 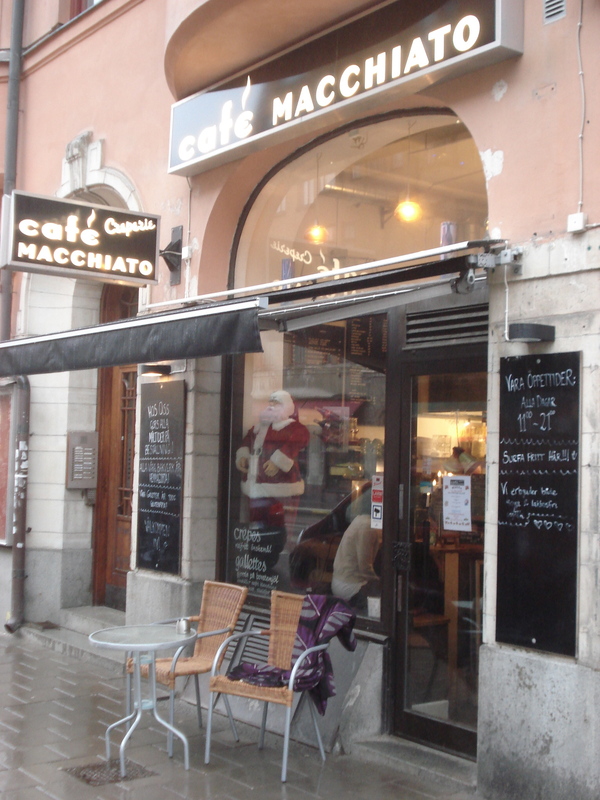 It is not very often that I am off on a weekday and have the opportunity of enjoying a nice café on Södermalm. Since it was cold and raining out, I did not really feel like walking from one place to another to feel the atmosphere from the windows, check out the other customers, etc so I simply walked into the first one on my way (after I crossed the street so that I could see Hornsgatan from a different perspective). And I ended up here! I don’t know if I should blame Christmas, the weather or the fact that today is Friday but Café Macchiato was completely empty this morning. Since I just came from Eclair where I had a pastry with my cappuccino, I decided to only have a double espresso this time. 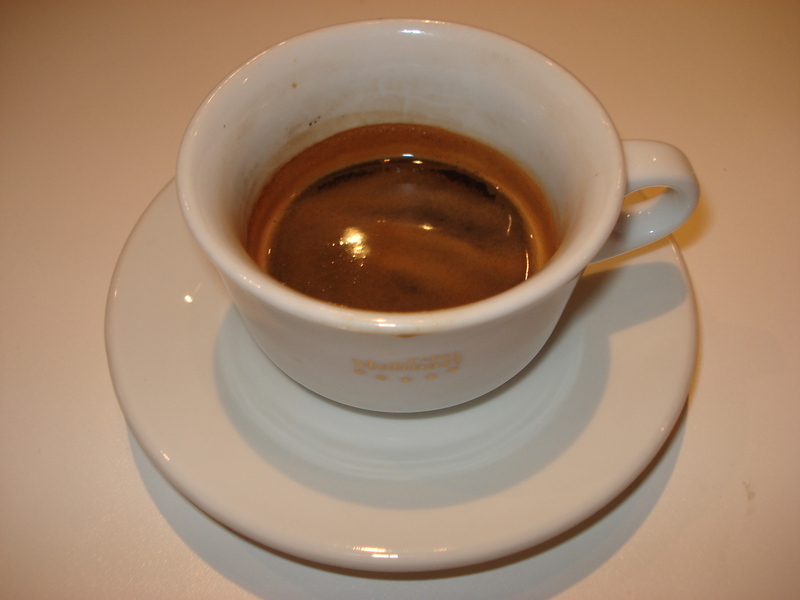 It was a fantastic espresso prepared by a very cute girl, who unfortunately was also a smoker. I know because she was sitting outside at the “smokers’ table” as soon as her colleague – who was just as pretty by the way and, as far as I know, not a smoker – walked into the café. 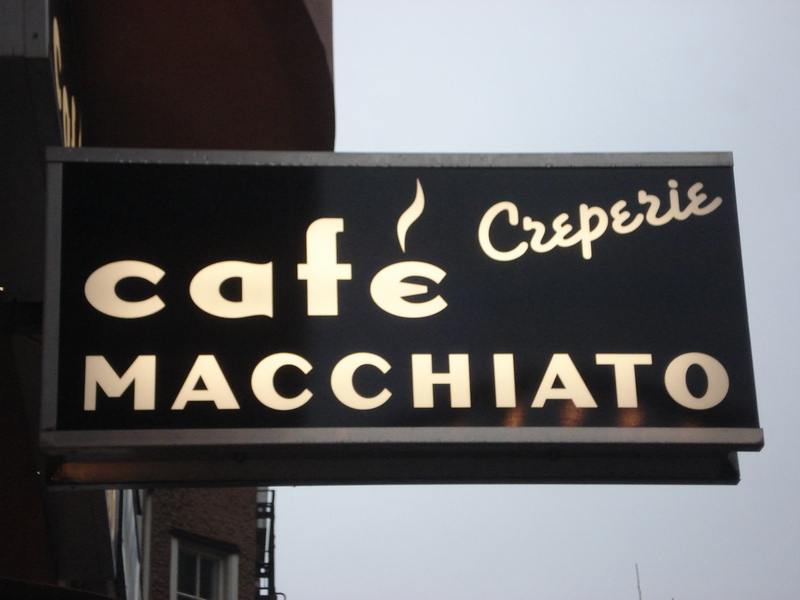 Café Macchiato has a lot of potential to be a regular spot! 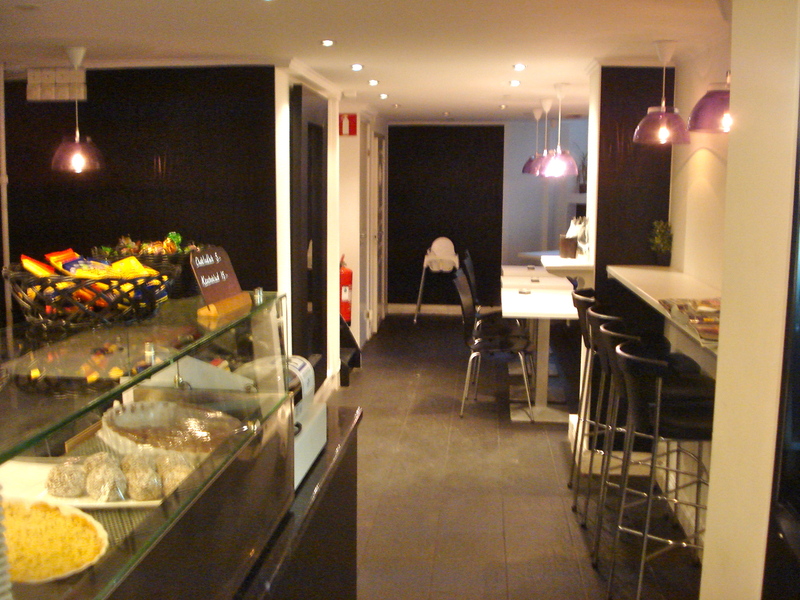 Good coffee, close to my place and good-looking staff. 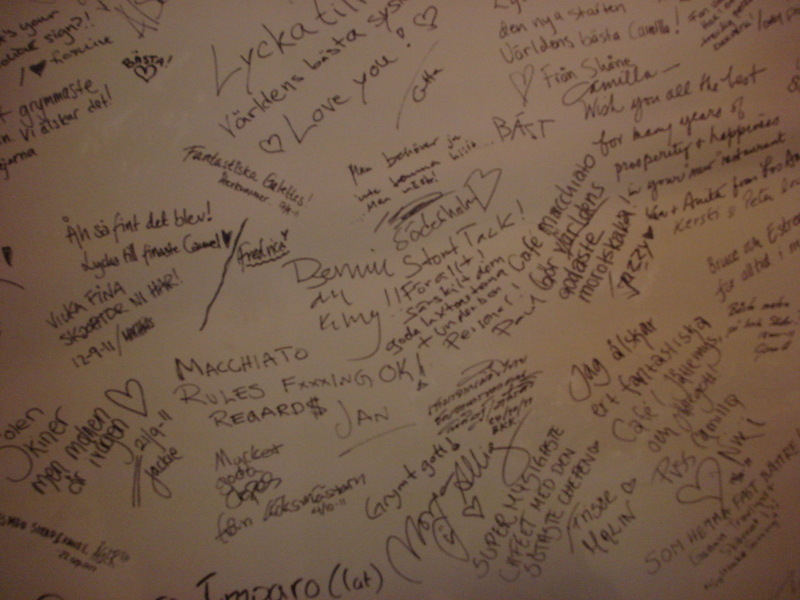 It also has a nice white board where customers can leave their comments. I hesitated for a few seconds and decided not to write anything. Maybe next time. This entry was posted in Coffee, wifi. Bookmark the permalink. It is pretty cool, and I will probably go back this Saturday to check out the weekend atmosphere.